This shows a Coronation party held on the 2nd June 1953. My father’s maternal grandparents, Fred & Charlotte Catling lived there. They are the the couple sitting on the left nearest the camera at the adults’ table. My father, Terry Hyde, is standing in the centre of the children’s photo. He is dressed a a pirate and he thinks the cowboy next to him is Christine Brindley’s brother. Do you remember this party? Can you recognise anyone here? If you can – please leave a comment below. Click on the photographs to open a larger version in a new window. Not sure when my granny and grandad went to live there, it could have been a bit later. They were the Headings, uncles Freddy and Danny too. Could that be Cannon Hutchinson from St. Bartholomews Church? What a lovely photo. My nan and grandad are in it, they are Joe and Rose Edith Prince, nee Southon, and they lived in Boston Street. They are on the right 6th and 7th back from the front. I’m pretty sure the 2nd man on the left on the table is my grandad, next Uncle Bill, then Nanny Blair. 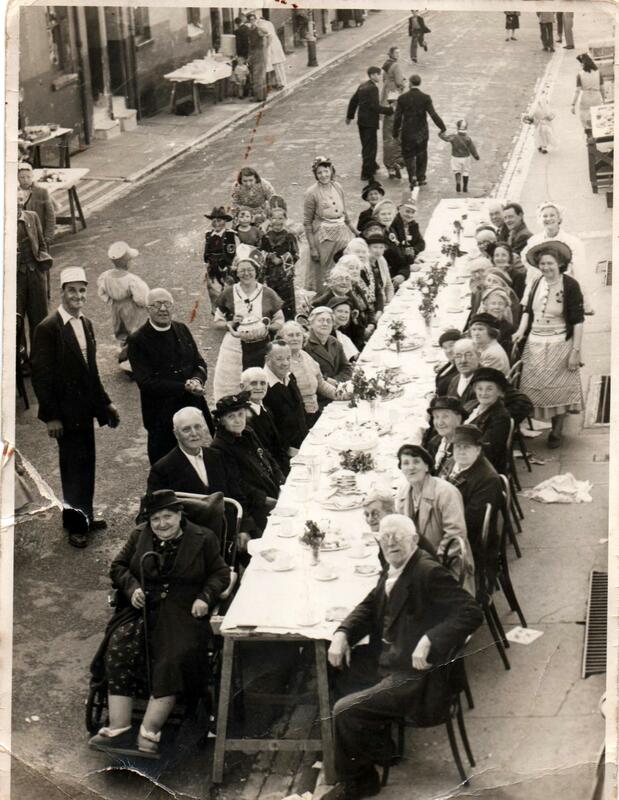 On the first photograph, my dad Tony Brindley is standing on the left with Father Hutchingson, fourth lady on the table next to I think Mrs Prince is my grandmother Mrs Potter, second lady on the right is a lady called Toots. I think the man second on the left is Mr Catlin who lived next door to us in New England Street. 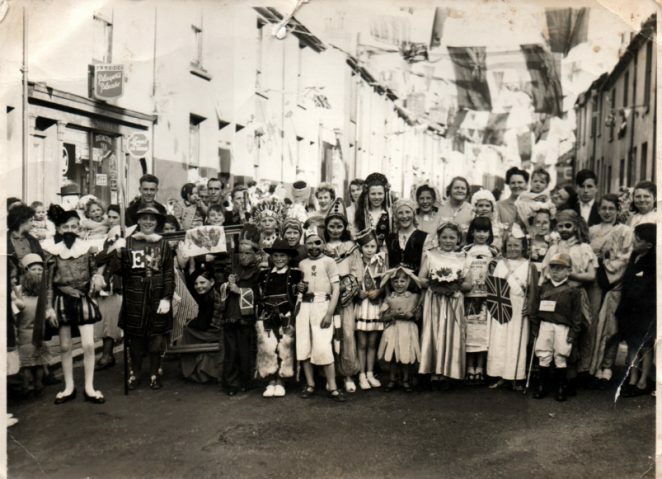 The lady in the sombrero hat is Mrs Dainty who lived with Hazel, Rita and Tina her daughters in Boston Street. My brother Ray Brindley is the little boy in the second photo in the cowboy outfit.